Endothelial progenitors are a population of cells with the inherent capacity to differentiate into mature endothelial cells and proangiogenic paracrine action. These characteristics have led to extensive studies being performed and tested in the treatment of tissue ischemia. The natural course of diabetes mellitus (DM) results in multiple areas of vascular damage. Thus endothelial progenitor cells‘(EPCs) beneficial potential is particularly desirable in diabetic patients. In this review, we summarize contemporary knowledge of EPC biology in DM. It has been shown that EPC functions are considerably impaired by DM. The presence of peripheral arterial disease (PAD) seems to further exacerbate the deficiencies of EPCs. However, studies examining EPC counts in PAD and DM observed disparate results, which can be due to a lack of consensus on precise EPC immunotype used in the different studies. Nevertheless, the results of EPC-based autologous cell therapy (ACT) are promising. In addition, EPCs have been shown to bean independent predictor of cardiovascular risk and diabetic foot ulcer healing. This work was supported by Ministry of Health of the Czech Republic [grant number 16-27262A], by the conceptual development of research organization [Institute for Clinical and Experimental Medicine – IKEM, IN 00023001] and by Czech Science Foundation (GA ČR) [grant number 14-03540S]. All rights reserved. d'Audigier, C., Susen, S., Blandinieres, A., et al. (2018). Egfl7 represses the Vasculogenic potential of human endothelial progenitor cells. 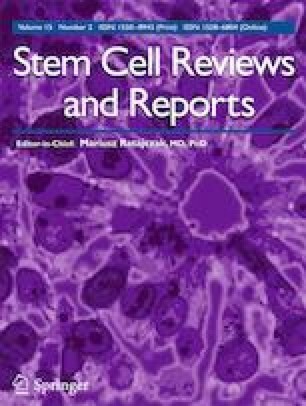 Stem Cell Reviews, 14(1), 82–91. https://doi.org/10.1007/s12015-017-9775-8.